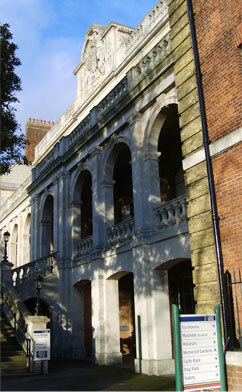 The Royal Marines Historical Society was formed in 1964. To engage in and encourage research into the history, uniforms and traditions of the Royal Marines and other aspects of Corps History. The results of research conducted by the Society may be published and shall be offered to the Royal Marines Museum. 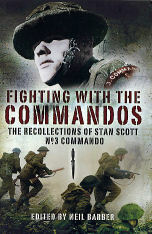 To provide a means of communication between persons interested in the history of the Royal Marines. To stimulate an interest within the serving Corps and general public in the history and development of all activities of the Royal Marines. To provide a source of historical knowledge and expertise to which members of the Society, the serving Corps, staff of the Royal Marines Museum and others may refer. To assist in enhancing the collections and historical records of the Royal Marines Museum and introducing them to a wider audience. 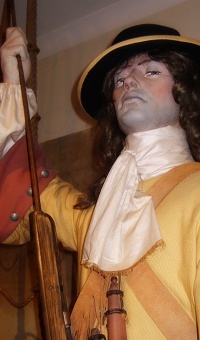 With over 300 members, who range from serving Marines to English Heritage, the Society is governed by a voluntary council with six members elected from the membership, an appointed Honorary Editor, Secretary and Treasurer as well as a representative of the Royal Marines Museum and the Commandant General Royal Marines. Membership is open to anyone with a genuine interest in Corps history. Our funding is derived primarily from member's subscriptions supplemented by a small surplus from the sale of our publications and other donations. We receive considerable administrative and premises support as well as access to collections from the RM Museum but the RMHS is an independent organisation. Members receive two issues of the Society's illustrated journal, The Sheet Anchor, which contains articles and news of interest on Royal Marines history. Members also receive a copy of the Society's annual Special Publication on a particular detailed and well researched topic. Three newsletters are distributed each year. The Annual General Meeting is held in the Corps Museum at Eastney, Southsea, after which lunch is followed by a talk on a Royal Marines historical subject. Subjects covered over the past few years have included 'Gallipoli', 'Royal Marines in the Gulf War', 'Kenneth Alford, Musician Extraordinaire', 'The Falklands Campaign', 'Commandos in Italy in WW2', etc. 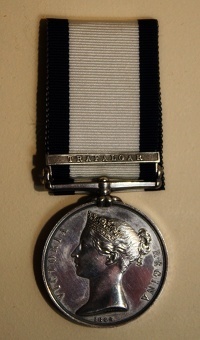 During the AGM the RMHS presents award in recognition of outstanding contribution to Corps history. The annual subscription is currently £22 per annum for mail delivered to UK addresses and £25 for overseas. Associate Membership is available for organisations interested in the Society's aims, but this does not carry voting rights. To apply, please click on the link below to download. Searches can be performed by title and/or author. After entering your search criteria, click Search. Since 2002 we have worked with the Museum, CTCRM and the Learning and Skills Council to produce a Short History of the Corps that is given to each new recruit and young officer. The Short history is now in its third edition and available to buy online from the Museum Shop. After creating registers of the Corps' dead from both World wars we embarked on a project to record and photograph RM graves and memorials around the globe. Over the past three years we have digitalised our collection of 2500 images and are now considering ways to allow public access to this ongoing project. We have provided equipment and training for Oral History interviewers in support of a joint project between ourselves and the Royal Marines Association. The interviews are deposited with the RM Museum who share them with the Imperial War Museum to provide public access and permanent conservation. Members of the Society are working on an index to the Corps journal, the Globe and Laurel. This is an invaluable source of Corps history, however, it has never been indexed and searches can take many hours. We are currently recruiting volunteers to assist in the digitalisation of the first 60 volumes of the magazine. 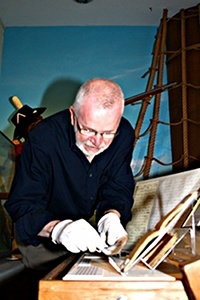 In 2005 members of the Society worked with the National Trust to mount an exhibition of the paintings of Captain James Cottell, RM. A veteran of Trafalgar, Cottell made over 140 watercolour drawings that chronicle his 40 years service. The RMHS is committed to rewriting the Short History on a three year cycle. Oral History and Graves and Memorials are ongoing projects. We are working with the RM Museum on a book on the history of RM insignia from 1755 to the present day. This has included funding to catalogue part of the Museum's insignia collection, photography and primary research in the Museum's archives, the National Archives, at the Naval Historical Branch and the collections of many private members. Two major research projects are underway - The Indexing of the Globe and Laurel continues and members of the Society are working on a roll of Marine Officers from 1664 to 1783.